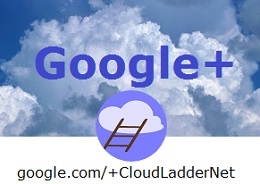 CloudLadder associates assist businesses to determine their needs and to define strategies for their online needs. Such consultations are charged at an hourly rate. For most needs about two to four hours is sufficient the get a customized “cloud plan” set up. If you wish to avail yourself of our consulting services, please use the response form below to get in touch. Consultation may be by phone, by Skype, Google+ Hangout, or in person (in our limited market area). Initial consultations are at no charge. We will quote costs for more intensive consultation sessions.